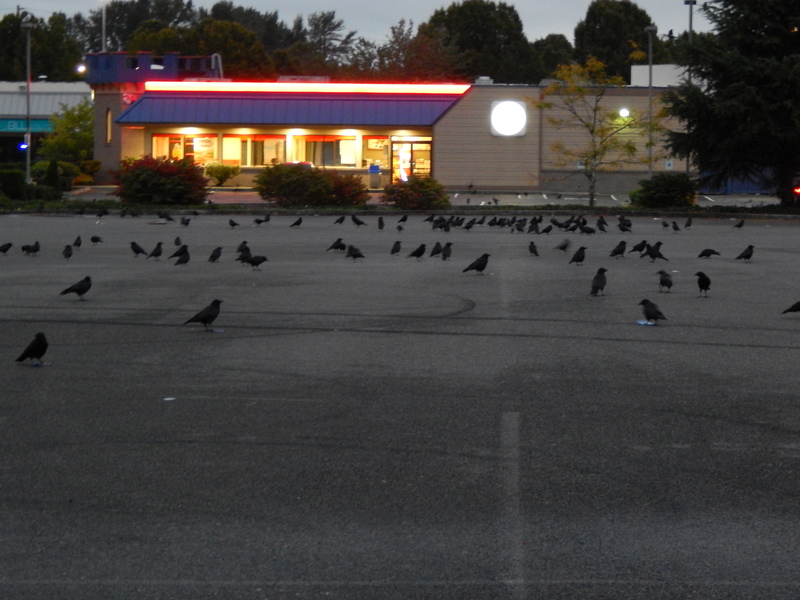 At dawn this week, on my way to work, I encountered the clan gathering outside a fast food place. Tis the season for the big Crow party to begin. LOL, you are a riot!